Talking about the Sailor Moon timeline is a bit of a grey area right out of the gate, simply because the anime and the manga obviously differ, and pretty greatly at that. Obviously this is a fictional universe so we can’t hold out a lot of hope for things to be 100% accurate, nor should it be. If we were concerned with absolute accuracy, I’m pretty sure we wouldn’t be talking about junior high school girls fighting the forces of evil to begin with! But to the extent that we can recreate the timeline and make some sense of it, I think it’s a worthwhile endeavor. We talked in-depth before regarding how long the fight against the Dark Kingdom and Queen Beryl would have taken and ultimately came up with thirty-three days, with a lot of caveats of course. Though I haven’t checked the anime – and with 46 episodes which need to be watched, I’m afraid it would take an incredibly long time to do a thorough analysis – but my gut instinct is that there the battle against the forces of the Dark Kingdom took a little under a year, though seems to be fair to assume that the series followed along close to real time.1 These timeline issues actually are pretty helpful in answering the above question, regarding how the Sailor Soldiers came back to life after their untimely demise in their battle against the D-Girls in the anime. That’s right! Today, we’ll be talking about the anime timeline, though we’ll turn back and tie this into the manga where we can. One of the popular theories was that when the rest of the Sailors were revived, they were brought back with no memories of the events of their lives as sailor-suited soldiers of justice while Usagi and the rest of the world had their memory wiped. The Cardian arc, at the opening of Sailor Moon R, definitely supports this theory. As it turns out, that is close to what actually happened according to the anime canon, but not quite the whole story. Why isn’t Usagi a third year in junior high school yet? Normally, she would have definitely moved up a grade, but since she was once again reincarnated prior to April, she’s re-doing her second year of junior high. She didn’t flunk out, really! While the Japanese uses the term “reincarnated” (転生), considering it then states that she is repeating her year as a second-year student, it would likely be more correct to interpret this as the world having been reset. After all, if it was just her who had been given a new body and reborn, then the rest of the world wouldn’t change with her (and thus she would have naturally gone to the next grade in school). Now, while it seems safe to say that this here is enough of an open-and-shut case, do we have any other evidence to go by? We do actually have at least one other interesting fact to support this theory that the world had been reset: the cram school which Ami attends in the first season is called the “OK Cram School” (OK進学塾) while in Sailor Moon R, she attends “Absolute Success Cram School” (絶対合格塾). This could be chalked up to a slip-up by the writers of the anime, however, but it is worth mentioning especially when you consider how well they’ve done at keeping consistency throughout much of the series (which is quite a feat across 200 episodes, though they definitely were far from perfect!). And what about the manga? Well, without any direct statements made on the matter (and without the wiping of everyone’s memory like what happened in the Cardian arc in the anime in Sailor Moon R), there’s not much to go on. But if you look out into the future of the series, it makes sense that there was a repeat year in there. 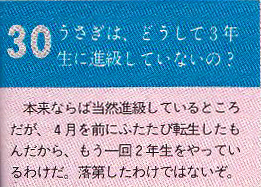 If Usagi starts in 1992 as a second-year junior high school student and enters high school in the Dead Moon arc (SuperS in the anime) in 1995, that means there’s one missing year.5 Assuming that Ms. Takeuchi didn’t just have the characters enter high school at a random time (which – to be fair – the anime did), that means we have one extra year that needs to be dealt with, which could be explained away by the “reset” between the Dark Kingdom and the Black Moon, as was done in the anime. Of course, this is just a manga and anime and there are more than a few inconsistencies throughout the series, so we can’t get hung up too much on the details like exact dates and times, but this definitely puts forth a pretty strong argument for what happened to the Sailor Team and how they came back to life by the time Sailor Moon R rolled around! ← What Health Problems Did Usagi’s Voice Actress Suffer From During Recording? Evidence definitely points to time being reset but when you consider that the Cardian arc starts and Naru and Umino already in a relationship — something that only occurred because of her involvement with Nephrite which has now been erased — then things get muddy. Probably just an oversight though. What drives me absolutely nuts is SuperS. An entire year clearly passes. You see seasons change. But yet they didn’t enter high school despite spending the entirety of S preparing for it. They aren’t seen going to school at all. Yet Chibiusa does go to school. And then the SuperS special puts them back to the entrance exams. It’s all a gigantic cluster. I really wish this is something that Naoko would have directly addressed in the manga since it runs into at least a similar time paradox with a “missing year” between the Dark Kingdom and Black Moon Family arcs, but it’s just kind of not really mentioned. You’re absolutely right about the Naru and Umino dating thing! Also, the fact that Makoto is still attending Azabu-Juban junior high is a definite inconsistency. But the anime doesn’t seem like it was too concerned about consistency in the timeline, especially when you consider that they clearly show the characters in various spring, summer, fall, and winter settings. I guess, re: SuperS, you could just argue that Usagi and go are all such massive geniuses that they didn’t need to bother studying? =p I mean, Usagi may be smarter than she appears! Well, considering that Usagi still had her memories, I don’t think it’s TOO far out of the realm of possibilities that Luna would have retained all of that. 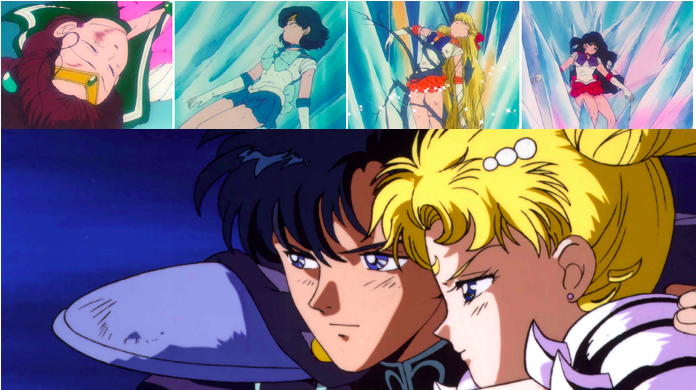 Actually, I think it’s more of the matter of the fact that Usagi’s wish on Silver Crystal to wake up in a normal life couldn’t actually directly contradict Queen Serenity wish on Silver Crystal which was already in effect – after all being a Princess Serenity or a Sailor Senshi is NOT an example of normal life. So it made a reset so Darik Kingdom NEVER attacked, but let Artemis and Luna keep memories and ability to restore memories of the Senshi, so they can actually be able to guide them. I never really tried to make a timeline using the actual years, but your explanation makes so much sense! So…if time reset to BEFORE the Dark Kingdom attacked, does this mean Beryl, Metalia and the Shitenou are still out there plotting in the anime universe? Or maybe they were reborn too…or maybe I’m thinking about this too much. Poor Pluto! 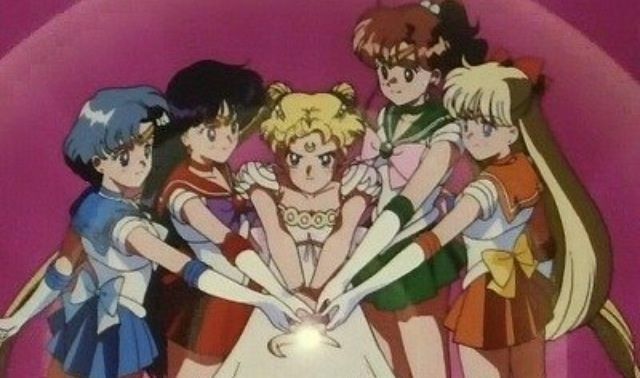 No wonder she says dealing with Sailor Moon is always trouble!